We’re always being kept busy with staircase projects for customers up and down the country. But we thought we’d take out some time to look at another customer story. 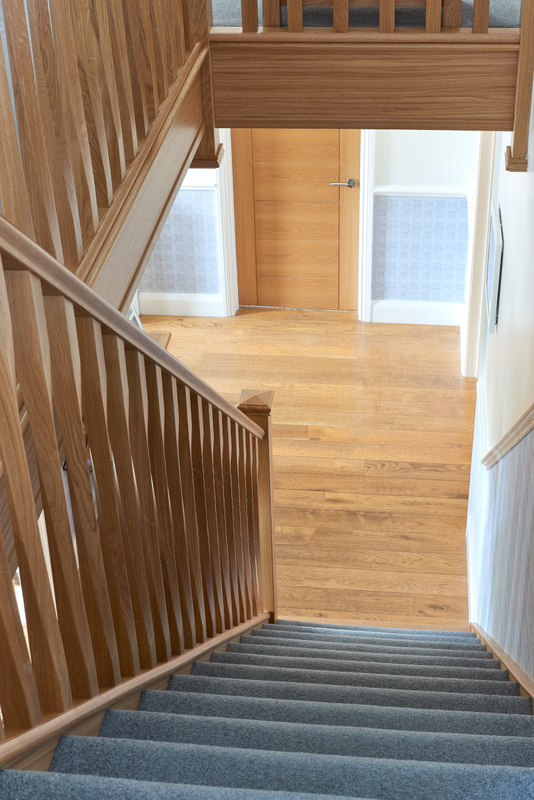 Here’s the staircase renovation we completed for Mr and Mrs Armstrong. The Armstrongs were eager to update their old staircase, which had been made from cheap wood and painted with white woodchips. “The aim was to create something more modern, with a fresh, clean aesthetic,” they explain. Previously, they had some unused understairs space that was going to waste. 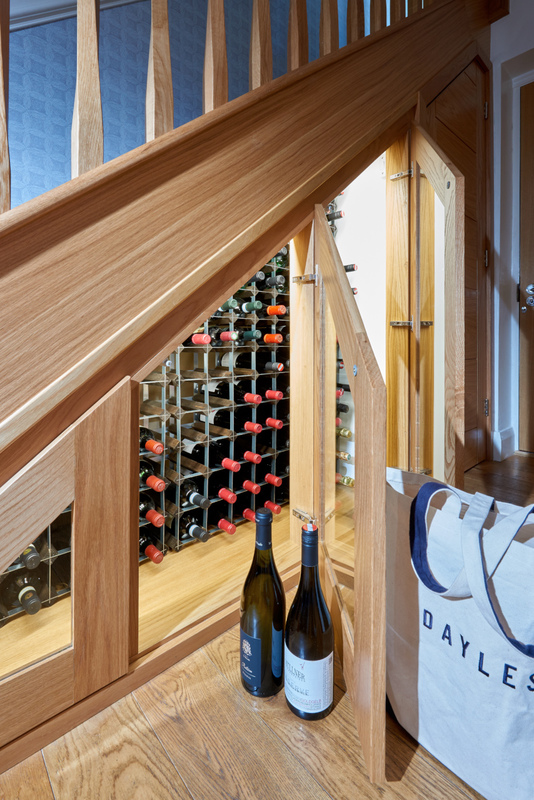 Creating a new staircase gave them the opportunity to truly maximise this space, and as such, they opted to create a wine storage area. “This had to be a feature,” says Mrs Armstrong who has links to a winery in Italy. This new feature would provide the perfect place to store the couple’s collection whilst creating a stylish focal point at the same time. The classic, contemporary staircase now acts as a central focal point within the entrance hall. 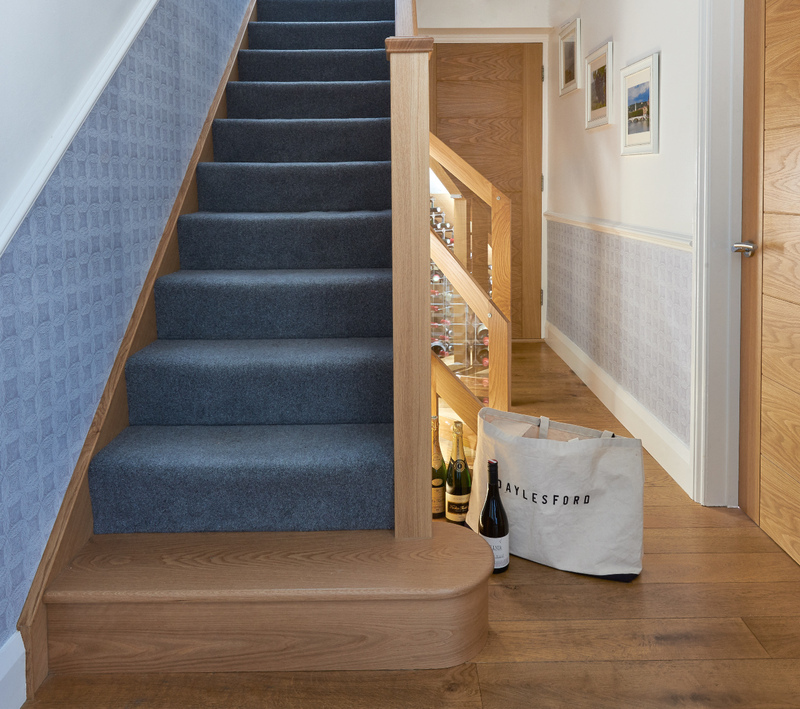 Plus, by adding in the under stair storage solution, the Armstrongs now have an additional function to the room, which adds both character and style. 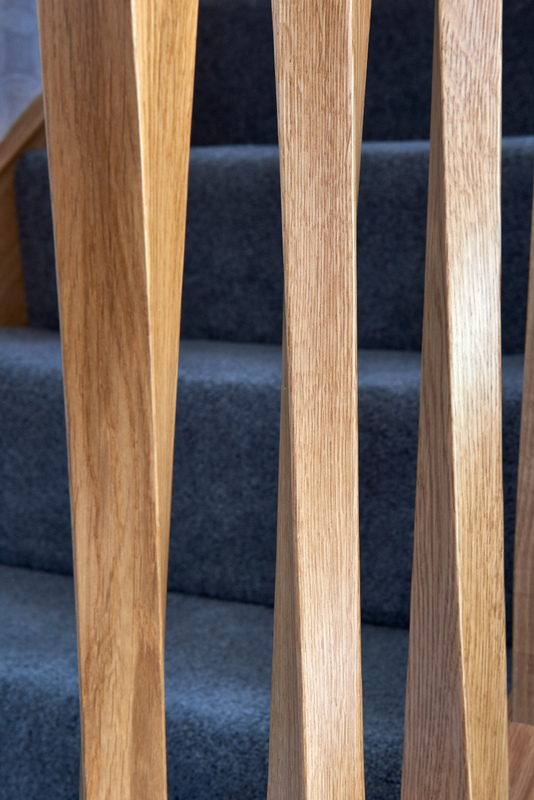 The new contemporary oak frame staircase consists of a balustrade with stylish, tapered twisted spindles. This is juxtaposed by the run of glass door cabinetry used for the wine storage cupboard underneath. 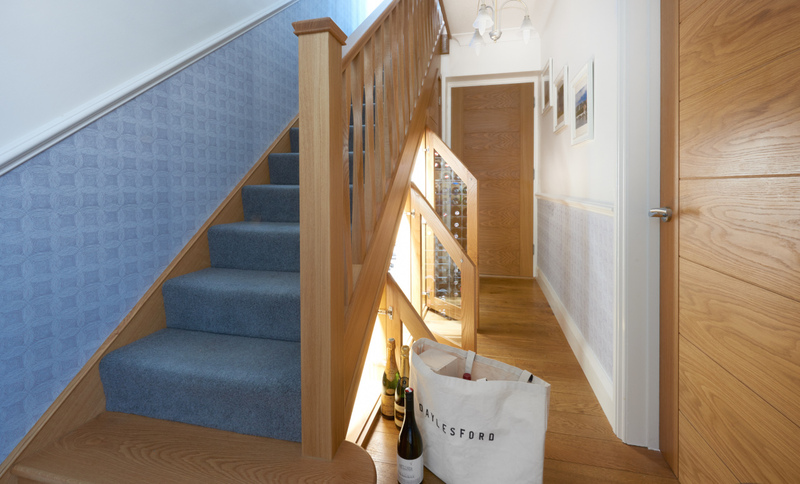 If you want to find out more about how you can achieve a similar result in your hallway, get in touch today.